Player wagers Ante before game begins. Dealer reveals his two hole cards. Player must bet either 2x or 4x his Ante, based on the dealer’s two hole cards. Player receives his two hole cards, and decides to either 1x Call, or to surrender half of his 2x/4x bet (keeps Ante). Dealer reveals community flop, turn, and river. If final Player hand beats Dealer hand, the Ante and 2x/4x bet pay even-money. 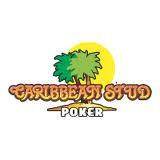 The 1x Call bet pays even-money for a flush or higher, else pushes. If the final Dealer hand beats the Player hand, all bets lose. Regardless of Dealer Hand, a 1x called Player hand qualifies for an automatic bonus (50:1 for Royal, 25:1 for Straight Flush, 10:1 for Quads, 1:1 for Full House and Flush). The following strategy is within 0.61% of optimal. There are two decision points. The first decision is whether to wager 2x or 4x against the dealer hole cards. The second decision is whether to surrender half your 2x/4x bet, or to 1x call the hand and see the river. 2x against any dealer pair. 2x against any dealer Ace or King. 2x against a Queen, except 4x against Q3o or lower. 2x against a Jack, except 4x against J3s/J5o or lower. 2x against a Ten, except 4x against T5s/T6o or lower. 2x against a Nine, except 4x against 96s/97o or lower. Against a dealer pair, call two over cards or an equal pair, else surrender. Call any pair, except against a higher dealer pair. Call any hand higher than or equal to dealer. 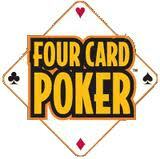 Call a 4x bet if you copy one card with the dealer, but the dealer’s kicker is 7 or lower. Call a suited hand copied once with dealer, against an offsuit dealer hand with 7 or lower kicker (e.g., call 63h against dealer 73o). Call two live cards when your low card beats the dealer’s low card, AND (you’ve made a 4x bet OR you’re suited OR you’re 3-gapped or less). Call two live cards for a 4x bet when the dealer cards are less than 9, not suited, and 3-gapped or more. Call two live suited cards when your high card beats the dealer’s low card, AND (the dealer is not suited OR you’re 3-gapped or less). Call two live suited under cards for a 4x bet when you’re 4-gapped or less, AND (the dealer is not suited OR the dealer cards are of a different suit). The game is good, and you should play it if you find it. Comments are no longer accepted on this article.